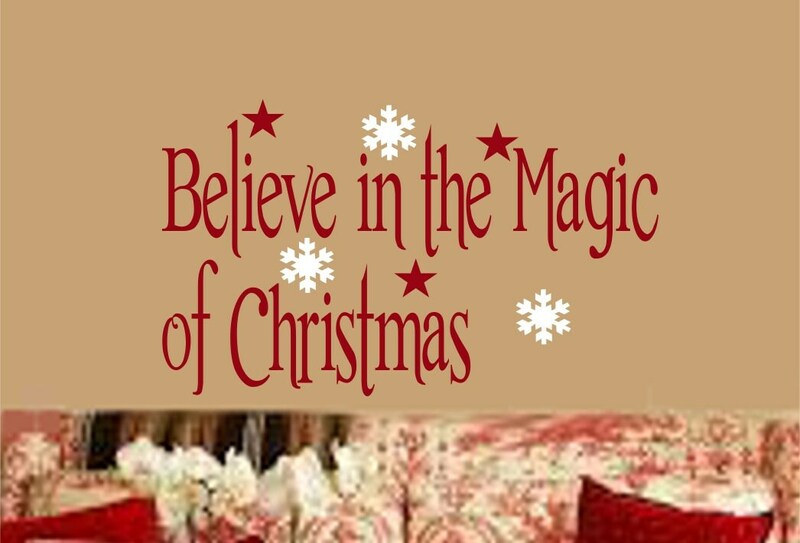 Believe in the magic of Christmas! 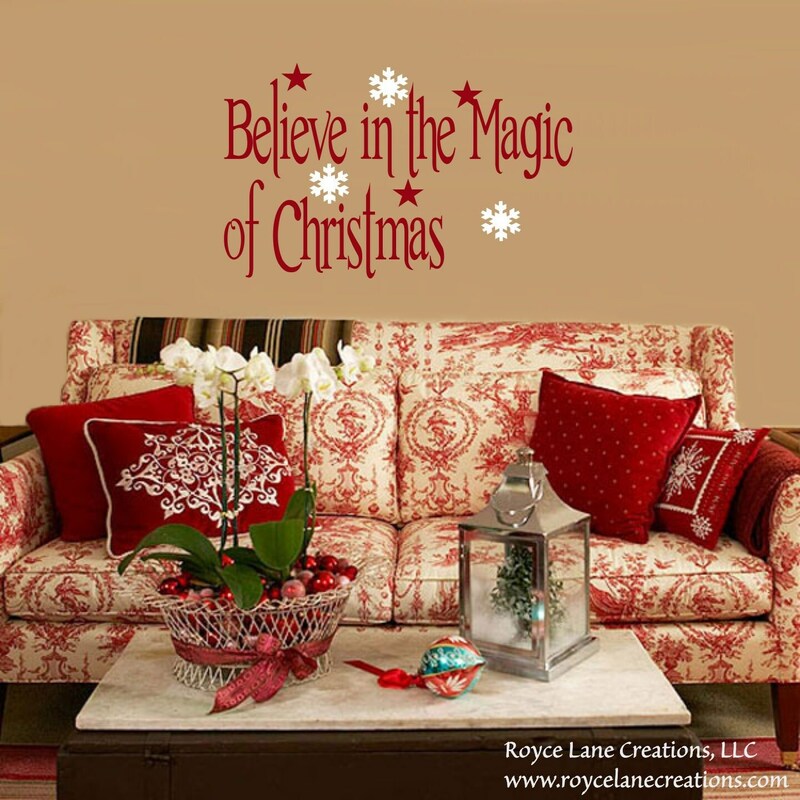 Our believe int he magic decal is so beautiful. This decal text comes in your choice of color with 3 white snowflakes and 3 stars that will be the same color of the text unless you specify otherwise. The decal is available in 3 sizes. The snowflakes and stars come separate for all sizes so you can place them where you want. The size given is for the group. All our decals are removable! When you are finished using them, simply peel them off! I ordered this in a larger size. 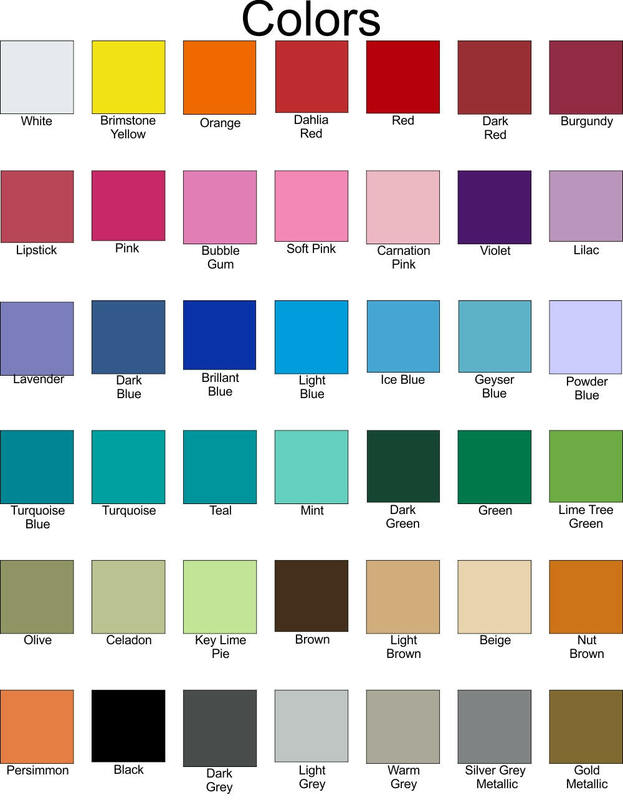 Communication with the seller was easy and shipment was very fast. I love the decal, it came exactly as requested. Thank you! Received my vinyl wall decal. Was hopeing to put on a window with the design looking out...The pumpkins will work, but need to figure out the text and how to show it from the outside without putting it outside! Thanks for the buy two, and get one order. All will be used! !